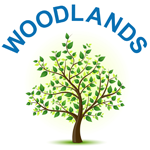 Woodlands is a calm, safe learning environment which allows all pupils to thrive. We employ an inspiring workforce who show a relentless dedication to school improvement. We encourage pupils to be proud of their school and achieve in an exciting environment. We celebrate everyones success and provide each pupil with the life chances they deserve. We have an effective working relationship with parents and the extended family and together we raise expectations, aspirations and standards for all pupils in our care.